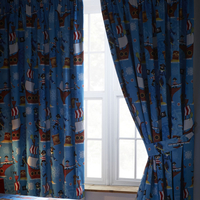 Childrens blackout curtains like their name suggests are curtains that have specifically been designed to block sunlight when they come in your way and they are quite opaque which makes them ideal for children as much as they are loved by adults as well. The thing for you to bear in mind is that you cannot dictate your sleep based upon what the weather outside is like as sometimes it could get dark early whereas at other times, darkness would take a while to cast in and if you do not have an appropriate arrangement to block sunlight then you would be facing issues controlling your sleep timings. This is the main reason why childrens blackout curtains have become as popular as they are to help maintain sleep discipline in a better way. Featuring a fun, illustrated Dino-Saw design, these curtains are fitted with an eyelet header and fully lined with special black out fabric to ensure a restful nights sleep. Featuring a peg legged pirate and a young pirate sailing their ships, across the seas in search for treasure chests. The blue background is printed with compasses, maps and treasure. These are 3 pass blackouts which will give total darkness to a kids room. The colourful trains are hard at work chugging through the countryside with their carts full of heavy goods and timber, passing fields of apple trees and sheep. These are 3 pass blackouts which will give darkness to a kids room. 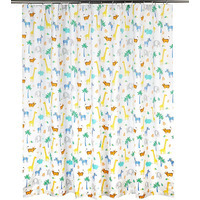 Prehistoric themed blackout curtains with colourful dinosaurs against a light blue background, surrounded by bones, footprints and plants. These are 3 pass blackouts which will give total darkness to a kids room. Silver grey with white stars all over, these blackout curtains are perfect for little ones who like darkness when they sleep. These are 3 pass blackouts which provide total darkness, sound insulation and thermal properties to a kids room. 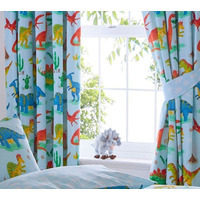 Prehistoric themed blackout curtains with colourful dinosaurs against a light blue background, surrounded by bones, footprints and plants. These are 3 pass blackouts which will give darkness to a kids room. Pale pink with silver grey stars all over, these blackout curtains are perfect for little ones who like darkness when they sleep. These are 3 pass blackouts which provide total darkness, sound insulation and thermal properties to a kids room. 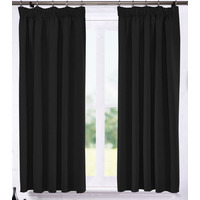 Black, thermal blackout curtains, with a pencil pleat header to hang on a rail or track, can also be used on poles with the correct attachments. 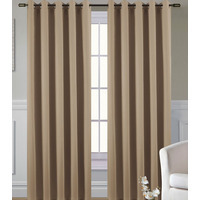 Coffee coloured thermal blackout curtains, with a pencil pleat header to hang on a rail or track, can also be used on poles with the correct attachments. 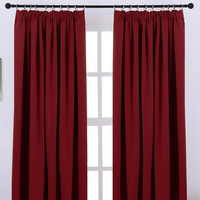 Red thermal blackout curtains, with pencil pleat headers to hang on a rail or track, can also be used on poles with the correct attachments. Pale blue with silver grey stars all over, these blackout curtains are perfect for little ones who like darkness when they sleep. These are 3 pass blackouts which provide total darkness, sound insulation and thermal properties to a kids room. 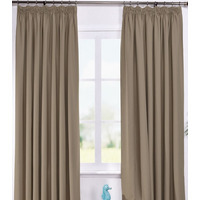 Coffee coloured thermal blackout curtains, with eyelet headers to hang on poles. Colourful safari and jungle print blackout curtains. 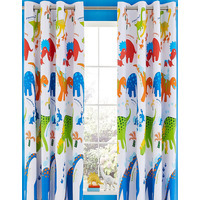 Patterned with miniature safari animals, these curtains feature a blackout lining to help reduce noise pollution, light pollution and retain heat so that your little one can sleep easy. Kids blackout, bedroom curtains filled brightly coloured stars in multiple colours, all secured with embroidered tie backs. 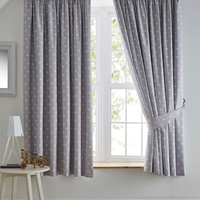 These curtains feature a blackout lining to help reduce noise pollution, light pollution and retain heat so that your little one can sleep easy. However, the need for kids’ blackout curtains is both seasons dependent as well as dependent upon the direction of your bedroom window as well as whether the bedroom has a window at all. No curtains would be needed for bedrooms that have no windows although this is rare as windows are essential for both ventilation and healthful living. So, bedrooms not having windows are quite rare, what is common however is the direction such windows face towards. If they face the sun directly then they could be an issue given that your sleep could be disturbed earlier than the time you may have set for you to wake up. So, children’s blackout curtains would help manage such a situation better. While blackout curtains for adults can be of any colour of your choice, kids are different as they would prefer their bedrooms and bedroom furniture and accessories to be of a specific theme so they could enjoy spending time there. One of the tricks of making kids sleep and get up in time is by furnishing their bedrooms in the theme of their choice. This is why you will find several varieties of childrens blackout curtains available in the market based upon their actual themes. 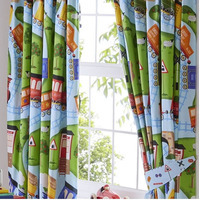 You will find blackout curtains themed around animals, TV characters, cartoons or even sports and players. Depending upon what your child may prefer, you may want to get them to choose from a variety of blackout curtains available in the market for kids. Girls blackout curtains are usually designer stuff based on colours that are deemed to be friendly to girls. 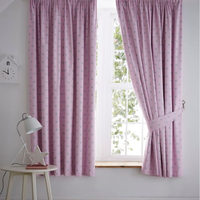 Soft colours like pink are what you will find most girls bedroom curtain themes to be featuring. 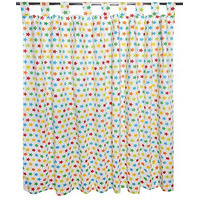 If you take a look at the above list, you will be able to distinguish between childrens curtains that are meant for girls as well as kids curtains that are suitable for boys bedrooms. Boys bedroom curtains, on the other hand, are hard and strong colors that feature characters based on male cartoons and football players and teams, as well as other colours. 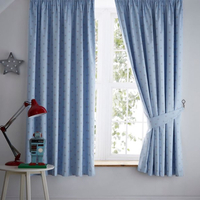 The colour blue is usually what most bedroom accessories including kids curtains designed for boys will be available in.